FRESNO, California -- An Internet sensation, the Anaconda Burrito is becoming more than just a lunchtime hit. 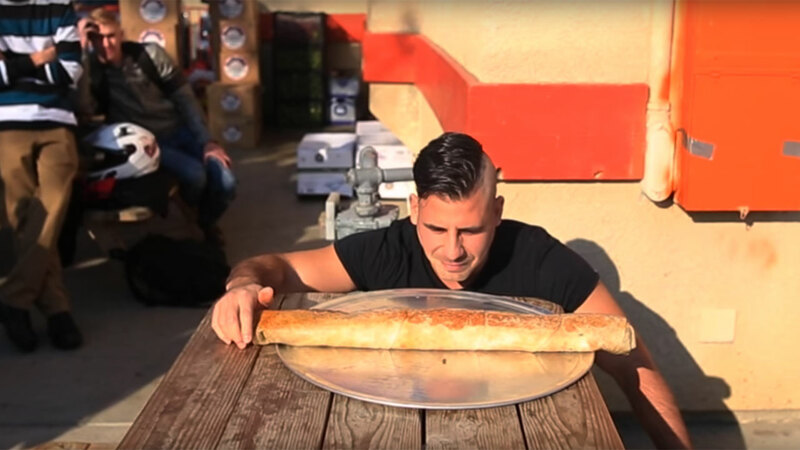 The burrito is a 3-foot long, 5-and-a-half pound monster made at Taqueria Yareli's in the heart of Fresno, California. "Burritos are my specialty -- this will definitely be the longest burrito I've eaten," he said. Edwin Espinoza, the burrito's creator, said many have tried and all have failed. And after 13 minutes, Martinez became the first person to ever conquer the Anaconda.